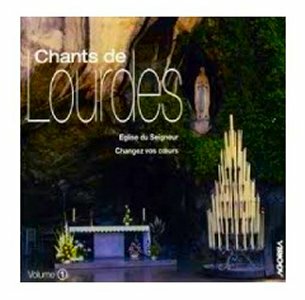 Songs of Lourdes, 11 religious French songs to the glory of the Lord, with a powerful sound and an atmosphere involved. In the cathedral of Rennes 30 children and a dozen men composed the liturgy at the major celebrations, masses and of the various ceremonies. The Sanctuaries of Lourdes invited the choir to sing when Pope Benedict XVI visited Lourdes in 2008.